What if you are an outcast living in New York or Nairobi? But what if you are an outcast living in an Australian outback town called Dungatar in the 1920s? Life surely gets interesting, especially for DressMaker Myrtle “Tilly” Dunnage (Kate Winslet). 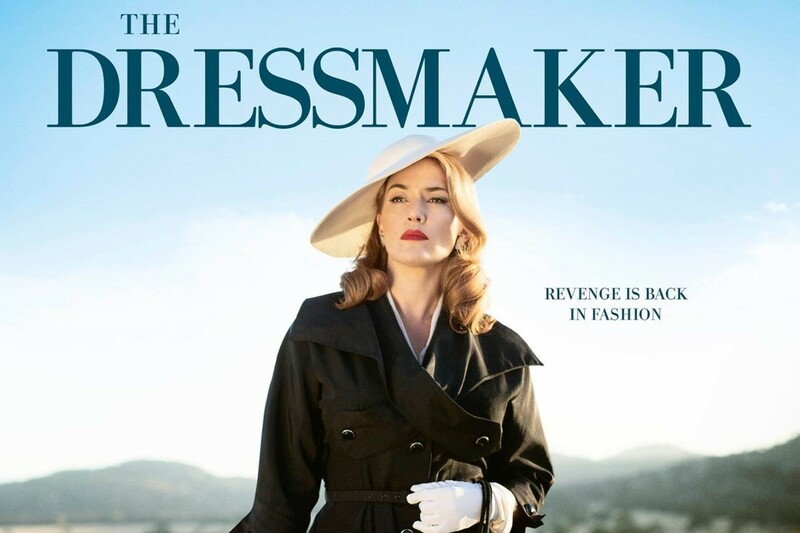 The film “The DressMaker” has been directed by Jocelyn Moorhouse and is based on the novel of the same name by Rosalie Ham. There was a young girl named Tilly who was bullied by a boy named Stewart Pettyman and soon after he died and the town blamed the murder on Tilly. She was quickly whisked away from the town by their local police sergeant Horatio Farrat (Hugo Weaving). After 25 years Tilly returns to her mother Molly (Judy Davis) and the town is shocked by her beautiful looks, locks and fashion. She tells her childhood friend who becomes her lover, Teddy McSwiney (Liam Hemsworth) that she wanted to remember the murder incident and move on in life. Teddy helps her recall the incident while Tilly sets off on a revenge spree because almost all town members were involved and had given her a tough time, especially her mother Molly. She decides to fight back by creating couture fashion for the ladies and soon the drab looking women start looking like Paris, Milan and New York models. Kate Winslet is stunning and her unusually vulnerable self as a daughter of tough Molly and Liam looks hot as a rough tough Australian outback farmer and rugby player. Hugo Weaving who is famous for being Mr Anderson from the Matrix triology plays a cross-dresser and motivates Tilly to pursue the truth and be free. Unfortunately tragedy strikes with Teddy and Tilly has to decide whether to stay or leave the town. Director Jocelyn Moorhouse delivers an easy film and Judy Davis as Molly the Mum keeps you hooked because she knows something you don’t and your interest ends with a bang.